Eight Ways to Exercise Your Brain! Put the months of the year into alphabetical order. 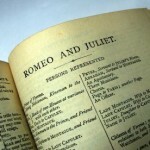 Name as many of Shakespeare’s plays as you can (there are 37!). Write your name with your non dominant hand… backwards. Read a newspaper article and underline every ‘the’ in the article. Read the type of newspaper which is contrary to your views, and get to the end!